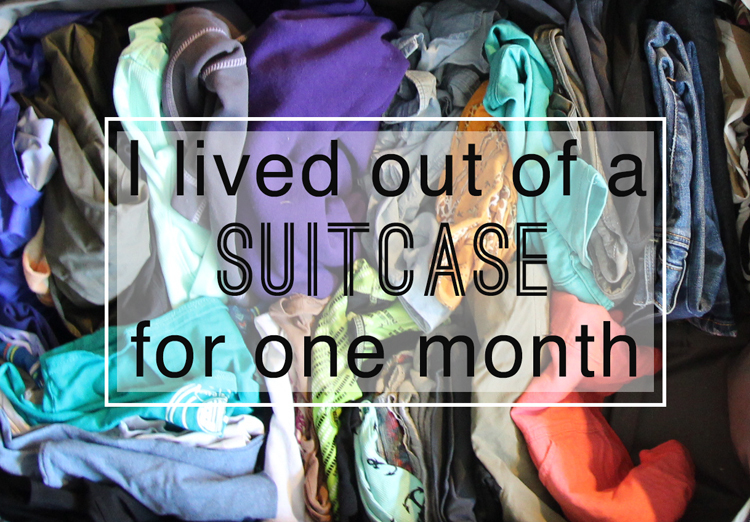 Toews Adventure: I lived in a suitcase for the month of June. I lived in a suitcase for the month of June. I thought it would be fun to share a picture of the clothes & random possessions that I have lived off of for more than a month. Some items I did not use (marked with *). Some items used once & could have done without. Some items I used all the time (marked in bold). Some clothes I never wore, some I wanted to wear more than once per week. I definitely need to go through these bags and weed stuff out. I also need to go through the clothes I have in suitcases at my parents’ house & simplify. What items do you use everyday? Are there any items that you have not used for a month or more? Share your answer in the comments below. P.S. Mose of my adventure gear can be found at Sierra Trading Post. 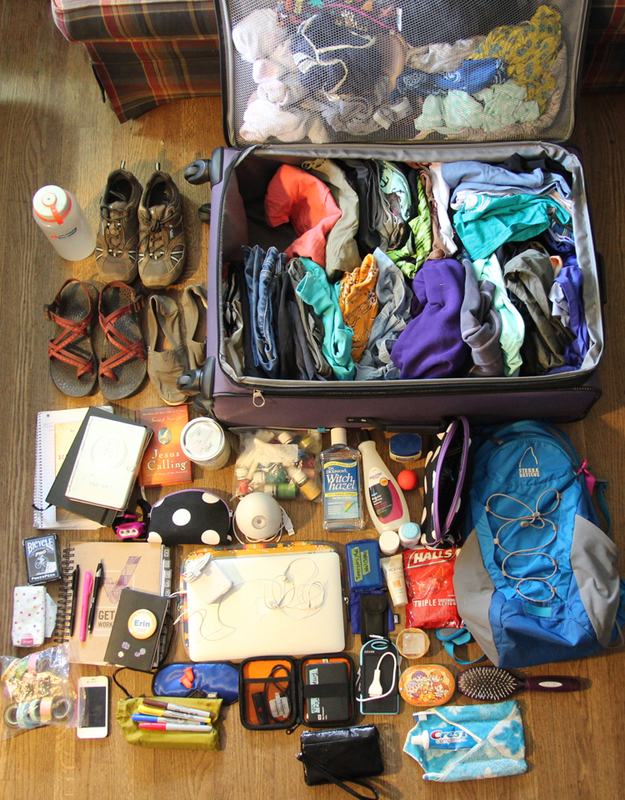 When we lived in China last year, the husband and I lived out of our two suitcases and two carry-ons for the whole year--we seriously bought practically nothing the whole time we were there, since we knew we were planning to leave soon! :) It's actually pretty incredible how much stuff a single suitcase will hold, isn't it? It helped that we were living in a warm place (and still are), so bulky stuff like scarves, coats, and cardigans weren't needed.